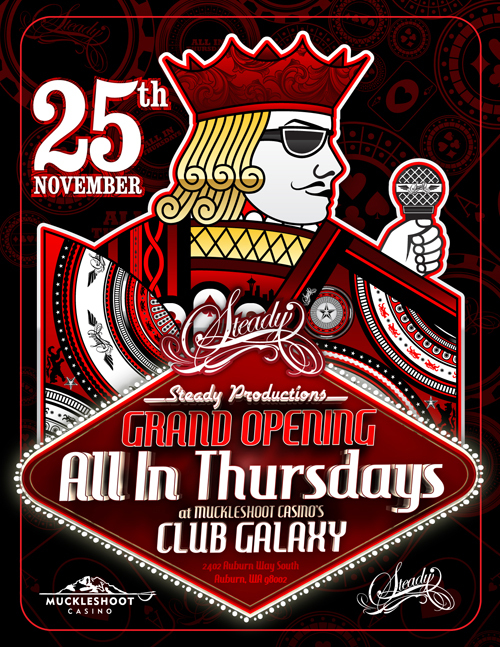 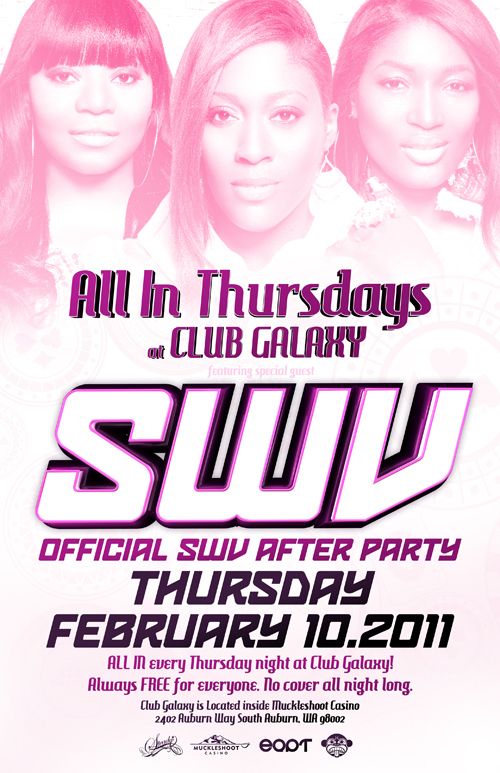 Posted in All In, Club Galaxy, EQPT, Massive Monkeys, Muckleshoot Casino, Steady Productions on December 31, 2011 by savoyproductions. 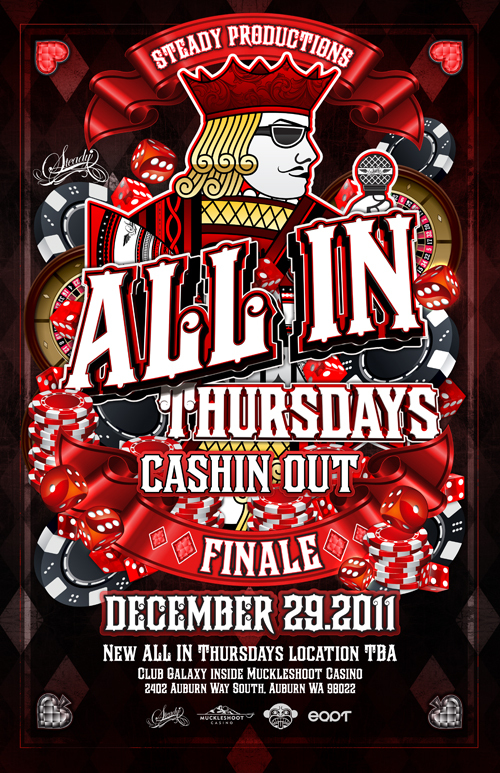 Posted in All In, Massive Monkeys, Muckleshoot Casino, Steady Productions on December 1, 2011 by savoyproductions. 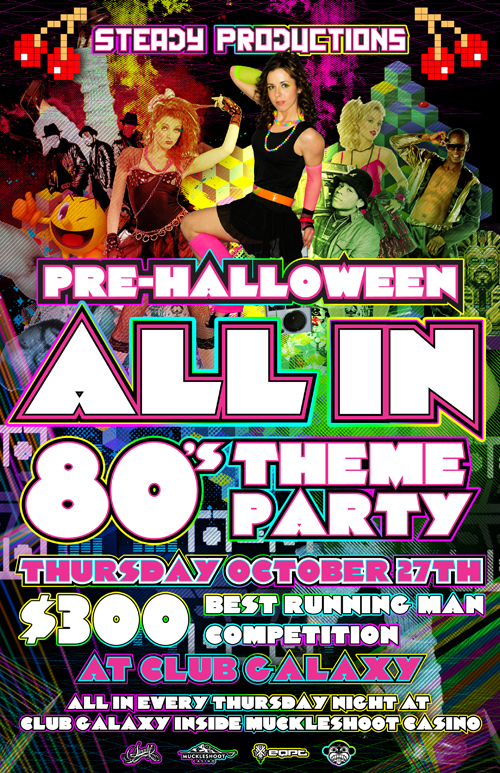 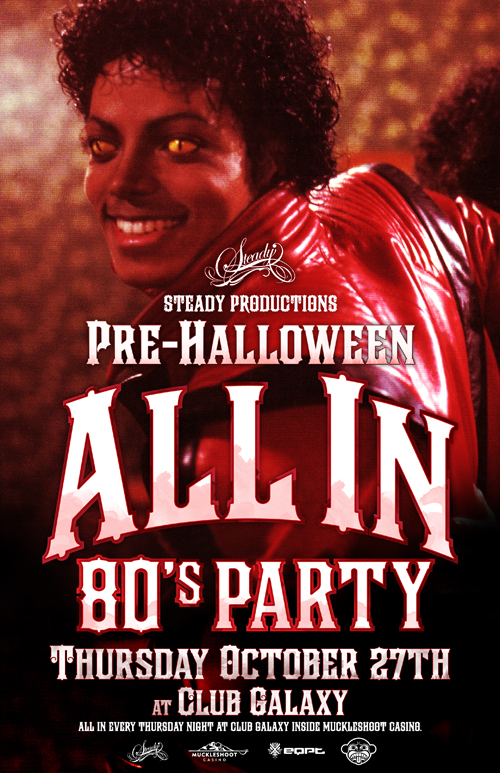 Posted in All In, EQPT, Massive Monkeys, Muckleshoot Casino, Steady Productions on October 10, 2011 by savoyproductions. 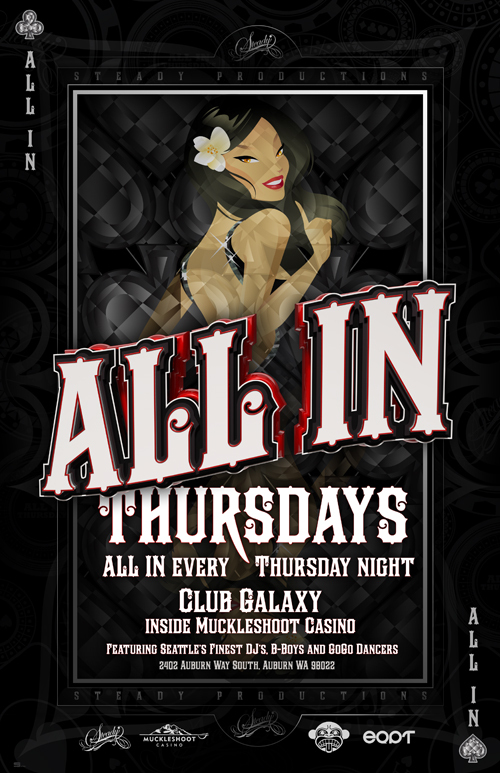 Posted in All In, Muckleshoot Casino, Steady Productions on August 4, 2011 by savoyproductions. 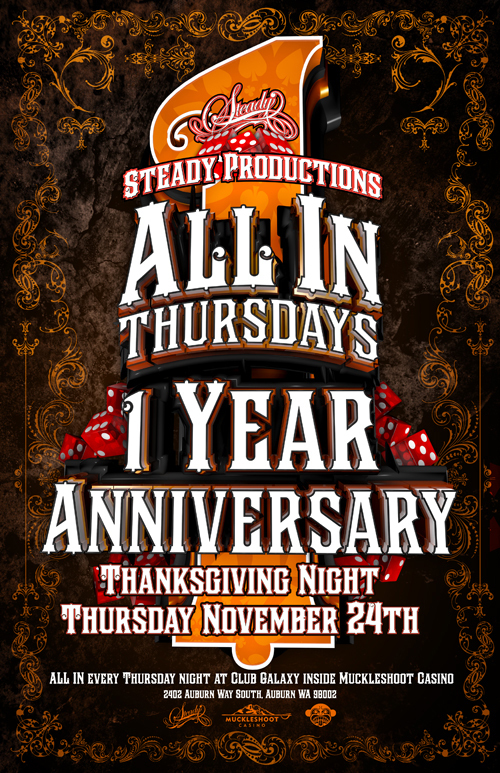 Posted in All In, Muckleshoot Casino, Steady Productions, TIna-T on March 18, 2011 by savoyproductions. 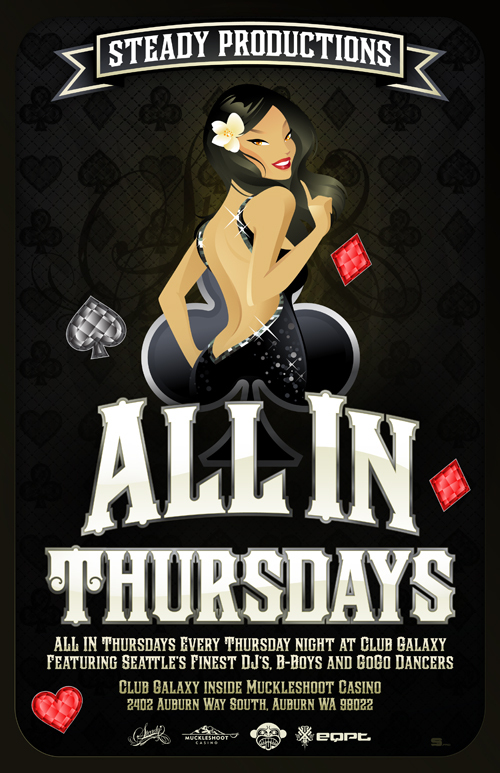 Posted in All In, Muckleshoot Casino, Steady Productions on March 18, 2011 by savoyproductions. 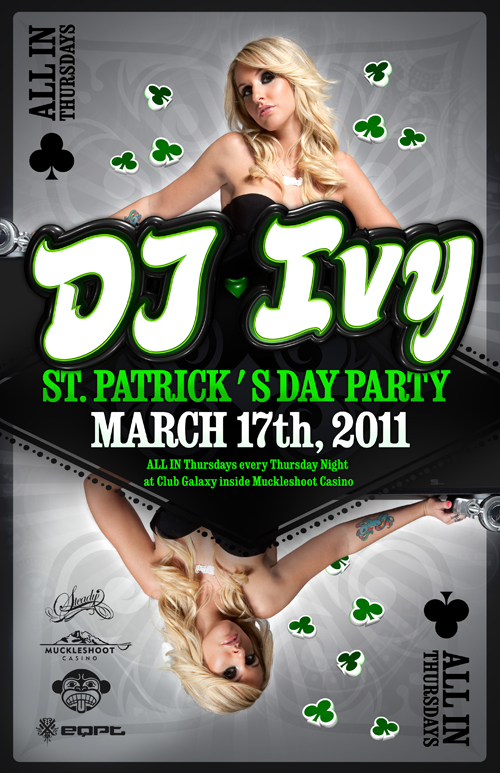 Posted in DJ Ivy, Muckleshoot Casino, Steady Productions on February 23, 2011 by savoyproductions. 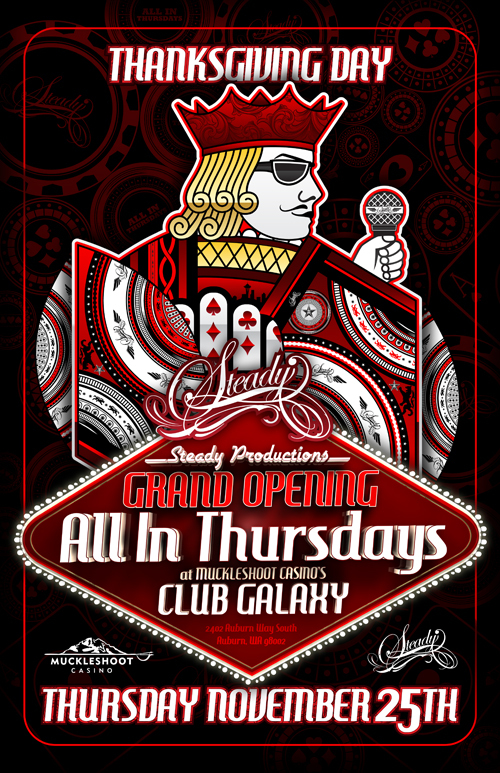 Posted in Club Galaxy, Muckleshoot Casino, Steady Productions on November 1, 2010 by savoyproductions.